Product includes- jumpsuit, inflatable belly, and vinyl mask. Doh! 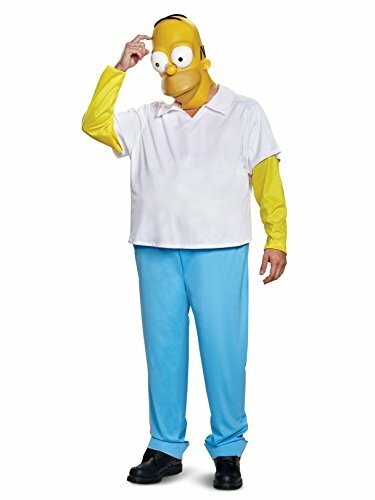 you can say that as much as you want in this awesome homer Simpson costume. 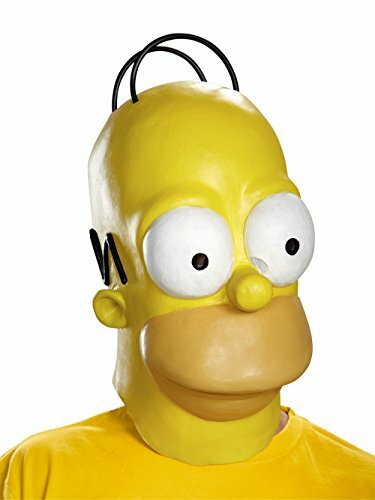 It includes a sewn in padded belly and of course the iconic homer full vinyl mask. Product includes- one vinyl mask. 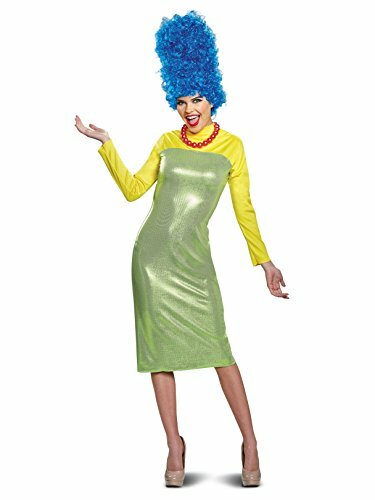 Attention aspiring actors (or just people looking for an easy, instantly recognizeable Halloween costume)! This could be the chance of a lifetime: the chance to be the next Duffman! 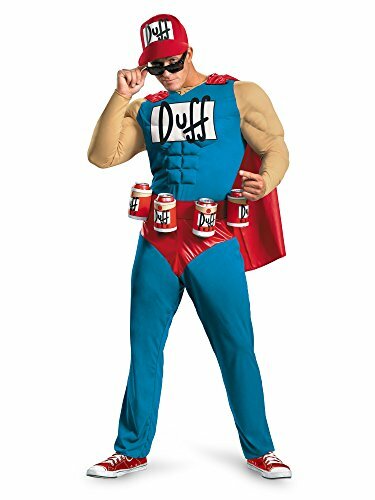 Simply wear this officially licensed Duffman costume tee and adopt a brash, manly attitude - and be sure to refer to yourself in the third person - and you'll achieve instant success. 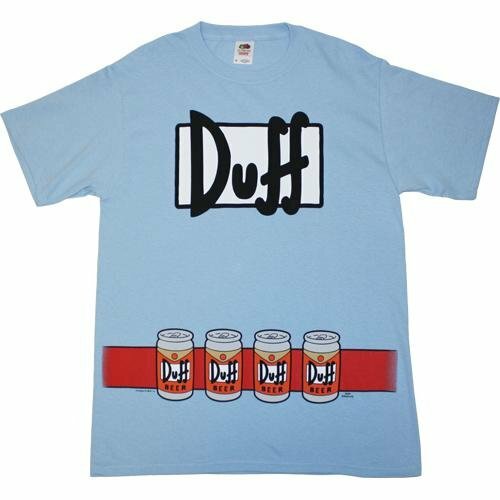 Light blue tee with front screen printed design of the Duff logo and Duffman's utility belt. Standard men's sizes. 100% cotton. Officially licensed. Imported. 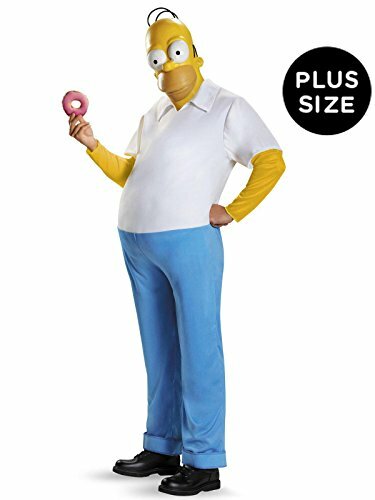 Product includes- shirt, pants, inflatable belly and vinyl mask. Product includes- dress with adjustable straps and necklace.